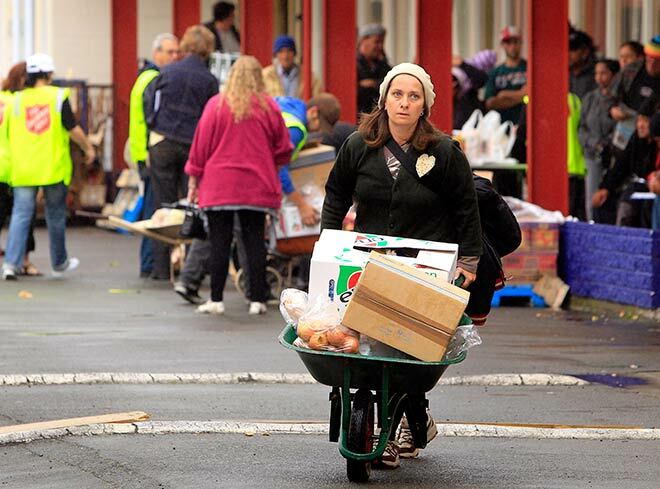 A month after the big earthquake, Jenni Skjellerup uses a wheelbarrow to collect supplies from a community response centre in Linwood. The centre was run by the Salvation Army and provided food, blankets and clothing. Skjellerup’s home was in the badly damaged township of Lyttelton, so she was staying with her mother in Richmond. Such shifts of residence were very common in the days and weeks following the quake.